A screencast (also known as a video screen capture) is a digital recording of a computer screen. These often contain audio narration and sometimes include webcam footage of the narrator. Most YouTube maths videos (e.g. Kahn Academy) are screencasts. Does my face need to be in my videos? Editing vs. non-editing screencast options - the big questions answered. What about other types of videos? Scribbling vs. non-scribbling screencasts - more big questions answered. Creative uses of Powerpoint and OneNote as a basis for screencasting. The best software for making computer-based screencasts. 'Getting started' tutorials - Creating non-editing screencasts. Simple video compression - yes, THIS is essential! Insight into editing screencasting options. ​Being able to create quick screencasts is a very useful skill. 1) The obvious one - create Khan-Academy-style videos from your computer screen. All you need is a quiet room. 2) Sick of explaining the same computer-based thing over and over again to your staff? Explain it on your computer one more time, but record your screen and turn it into a video. Next time ... email them the video link. ​3) Show your students how to screeencast and have them create their own videos to show their understanding either as extension work or as part of an assignment. ​Does my face need to be ​in the video? ONE: Many teachers assume they should have their face in screencasts because most maths videos seem to have the teacher featured. TWO: Many teachers are reluctant to feature themselves in a video. I’m confident there is no evidence to suggest that maths videos featuring the teacher are more effective as teaching aids than those that do not feature the teacher. Creating screencasts which include the webcam footage is more hassle - you need to consider hair, lighting, background and clothing! I’ve created many a convenient, quick, non-webcam screencast in poor light and late at night because all I need is a quiet room. Stuart often creates non-webcam screencasts when on the road during his 'Tour de NSW' trips. Non-webcam screencasts are low-fuss and easy to make! What is important to know, however - and this is commonly reported by participants of the Flipped Maths Classroom course - is that your students will prefer your videos - webcam or not - to any other videos from the web. This point continually surprises newbie maths-screencasters from the Flipped Maths Classroom. To edit, or to not edit? ... That is the question! NOTE: To get you started we will show you how to create non-editing screencasts with free software (next page). However, it is very important you understand the pros and cons of editing. It's a must-watch for anyone who wants to start creating screencasts and for those who have already been dabbling in the craft! ONE: Screencasting apps that don’t allow for editing are either free or cheap and they are ideal for short videos, for people getting started and/or who know they won’t be recording many videos in their lifetime. TWO: Screencasting apps that allow for editing come with significant advantages. However, they are never free and the best ones can cost around $250. THREE: To date, there are no iPad screencasting apps that allow for true editing of recordings! Why would I want to edit screencast videos? This is a vital question to deal with. Many teacher-screencasters who have never edited - and especially iPad screencasters - assume it must be easier and faster to record a video in one-take and not worry about editing. The main reason for editing is that it makes the recording process stress-free ... you no longer need to do a recording in one take without hiccups! Being able to chop out mistakes is a game changer. But that's just the beginning. If you will be creating multiple videos over the years then you may also want to be able to add zooms, text, arrows, extra images and video as well as (sometimes) speeding up sections of video. Why not edit my screencasts with iMovie, Movie Maker, Premier Pro, etc? In order to be able to edit a screencast AFTER using a free app, you need to have the video file (mp4, mov, etc). That rules out Jing and most iPad apps because these do not give you a video file; they force you to export to a website so you only have a url to the video. Screencastomatic, however, does export mp4 files so if you use the free version you could use your video editor to edit the mp4. The same applies to Quicktime - see the tutorials on the next page. Recording and editing screencasts with quality software such as Camtasia is much easier and gives you more options than using traditional video editing software. As we have already said, in this screencasting section we are only covering the information necessary to get you started, i.e. non-editing screencasts. For those wanting to create numerous screencasts with editing (and to create slick looking online units through which to deliver them) then you really need to enrol into the online course 'Create and trial a flipped maths unit’. Why screencasts? Why not use a video camera? You might be wondering - why wouldn’t you create videos of you teaching at the whiteboard, i.e. with an actual video camera? 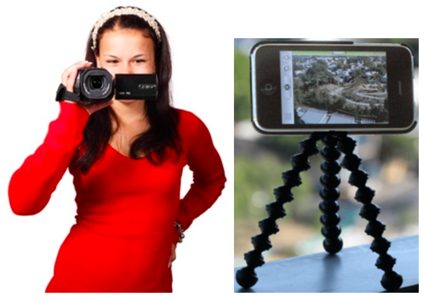 You can, but using a video camera requires a much more complicated set-up. In addition, a screencast video usually provides more options than a video created with a camera. Therefore, for the majority of teachers screencast software will be an easier and more versatile option for creating videos than using a video camera or phone. If you have questions about this, please ask below. The Hovercam is a different system altogether. The Hovercam is a camera positioned above a desk so that A4 paper can be placed underneath. To create a video you scribble on the paper and speak. I explored the Hovercam with another teacher in a school a few years back and we found it problematic. But I know some teachers have found the HoverCam to be a good system - but for scribbling videos only. 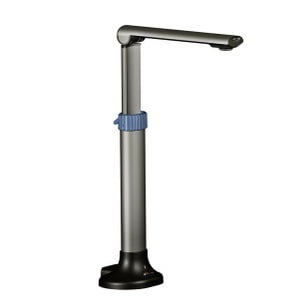 It is difficult to ascertain the ideal Hovercam model. - It is possibly this one. If yes feel free to share below.